We are pushing the limits. We have recently released AutoTweet, Joocial and Composer App v8.3 to complete the most powerful social content management solution, completing a vision from auto-publishing to mobile content sharing supporting Facebook, Twitter, Google+, Instagram, Pinterest, WhatsApp (or any other application ). Now, we are working for the upcoming v8.4 and we have exciting news. EasyBlog 5 has a new composing experience, an unique and powerful composer that gives more freedom to write, add photos and videos, share links and more. 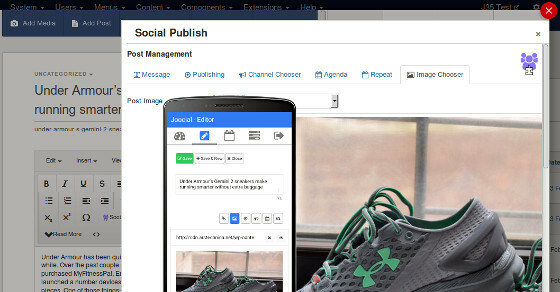 In the upcoming Joocial 8.4, we have integrated our Social Publish Manager to empower EasyBlog Composer. In this way, EasyBlog users can take full advantage of our social media solution.